AX Armani Exchange Olimpia Milan drilled a club record 18 three-pointers in beating Darussafaka Tekfen Istanbul 92-98 at Volkswagen Arena on Thursday. The Italian champs remained undefeated in three road games this season while improving their overall record to 5-2. Mike James led the way with 21 points and 5 assists, Vlado Micov scored 20 and Nemanja Nedovic returned from injury to score 17. Together with Dairis Bertans, Milan had four players with at least 4 three-pointers. The visitors led by as many as 12 before Darussafaka rallied late, but free throws by James and Micov put the win on ice. Michael Eric scored 16 and Ray McCallum had 13 for Darussafaka, which fell to 1-6. Jon Diebler and Stanton Kidd added 11 each in defeat. Bertans drained a pair of early threes as the visitors jumped out to a 2-8 start. Oguz Savas was a force at both ends for Darussafaka with the hosts' first three baskets and a blocked shot all int eh first three minutes. James got going with free throws and then a pair of steals that led to layups. Micov knocked down a three-pointer to make it 8-17 at the TV timeout. Stanton Kidd shined for the hosts in a 9-0 run that James ended with a three-pointer. Nedovic came off the bench for his first action in nearly a month and sank a triple to give Milan a 19-26 lead after 10 minutes. Nedovic opened the second quarter with another three for Milan's first double-digit lead. Nedovic stayed hot from downtown before James's finger roll made it 27-39. Darussafaka continued to attack and drew within 5 on a three by Zanis Peiners. The hosts even got the deficit to 3 before settling for a 49-54 difference at the break. McCallum twice trimmed the gap to 3 in the first part of the third quarter before Diebler's triple made it 61-62. Berk Demir free throws gave Darussafaka its first lead, 69-68, which is what the scoreboard showed after three quarters. Back-to-back threes by Curtis Jerrells and Micov with a block by Arturas Gudaitis in between put Milan back in charge early in the fourth quarter. 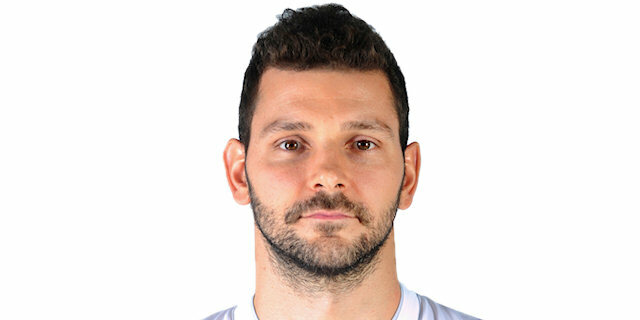 When Micov buried a three-pointer three and a half minutes into the fourth quarter, he capped a 2-15 Milan run for a 12-point lead and tied the club record with 17 three-pointers. Muhammed Baygul scored 6 points – his first 6 of the game! – in a span of 40 seconds to bring the hosts within 85-88 with less than three minutes remaining. After a timeout, Kartal Ozmizrak made a jumper to bring his team within 87-88 and Eric missed inside with a chance to put Darussafaka ahead. Bertans sank an off-the-glass three at the other end, but Eric made it 92-94 with 28 seconds to play. However, Micov's free throws and a defensive stand allowed Milan to leave with the victory. Milan set a club record with 18 three-pointers and came within 1 of the at-the-time EuroLeague record, though Buducnost VOLI Podgorica bettered that mark later in the evening. Nemanja Nedovic made the most with 5, but it was Dairis Bertans who was most accurate. He made 4 without a miss, thus tying Marshon Brooks, Kristjan Kangur and Claudio Coldebella for the best three-point shooting night in club history. Linas Kleiza owns the club record for threes in a game with 8, set in December 2014. After Kartal Ozmizrak's jumper made it 87-88 and Dairis Bertans committed an offensive foul at the other end, Darussafaka had the ball with a chance to go ahead. However, Michael Eric missed twice from close range and Bertans sank a three that kissed the backboard to put Milan up 4 with 1:44 to play. The hosts would not have the ball down by less than 4 again all game. Darussafaka had many things to be proud of, even though it came up short in the end. The team outrebounded Milan 39-32, including 17 offensive boards. It made 22 of 25 free throws (88.0%). Its total performance index rating of 108 bettered Milan's 100. Ultimately, what did it in were 15 turnovers and Milan's great three-point shooting. Darussafaka stays close to home to start the two-game week in Round 8 when it visits Fenerbahce Istanbul on Tuesday. Milan hosts KIROLBET Baskonia Vitoria-Gasteiz on Wednesday. "First of all, we expected this kind of game because Darussafaka has qualities and we knew they would react after a big loss like every team in the EuroLeague. We impacted the game very weel, but in the second quarter we let them score 30 points. This was terrible for us because from what we built, 5 points was nothing at halftime. So in the second half we restarted with better defense, give them only 20, but again we lost some chance to maintain the gap with offensive rebounds again and sometime the quality of our transition defense was not at the top. With these extra shots, these extra points they stayed until the end. Fortunately we showed the desire to win, we stayed solid in three-four key possessions on defense and on offense we have quality. We got some open shots, open three-pointers, but we need to make a better effort in other parts of the game. Anyway, for tonight it's a really good win for us because I knew it wouldn't be easy. Also we have some problems, Nedovic was not able to come back in the game." "It felt good to be out there after almost two weeks, just to get a feel for the game. I was working the whole time I was injured, so I didn't really lose too much shape and conditioning. I felt really good today. The most important thing is that I helped in some way for my team to win because it's a very important win for us on the road against a team in tough situation. So we knew that they were coming out today to give their best to try to save them. So it's a good win for us. Now we have to recover. Next we have the double schedule." "We were controlling the game almost the whole time. We had too many ups and downs. In the second half, of course, they tried to do anything to push more; they played more aggressive with a full-court press and also in the half court we took some bad shots... They pressed us a lot, but in the end we found some shots. A win is a win. There is no easy game in the EuroLeague, especially on the road. We allowed them too many offensive rebounds and easy baskets on the fast break. If we could manage to control that, we could have won with a bigger difference."